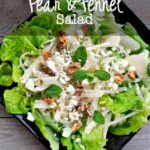 Toasted walnuts, caramelized with maple syrup and a pinch of smoked salt make a tasty salad topper. 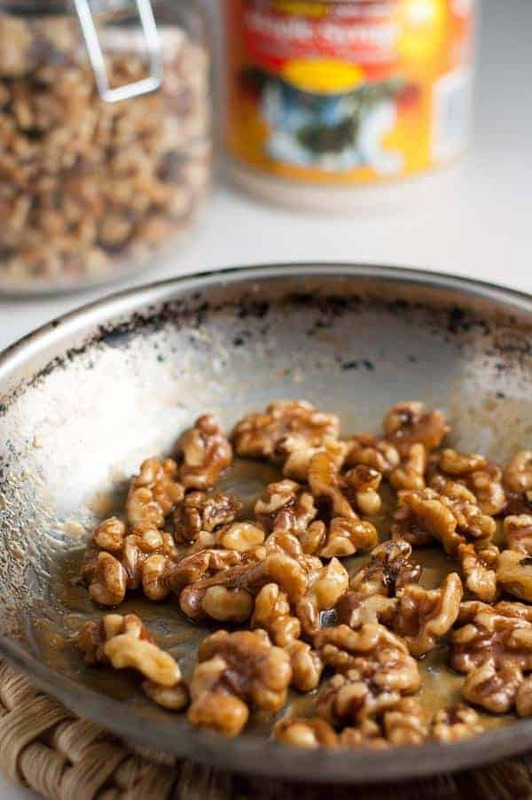 Whip up these heart-healthy maple-glazed walnuts for your next healthy salad. 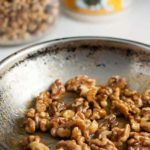 These Maple Glazed Walnuts are so simple to make! 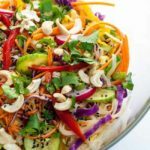 They’ll take a salad from mundane to magnificent in 3 short minutes. 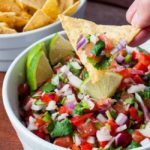 I add them to this Persimmon Pomegranate Salad with Maple Walnuts along with pomegranate arils, and to this Roasted Sweet Potato Spinach Salad with Maple Walnuts and Bacon , but they will dress up any salad, adding that sought-after crunch. Add walnuts and maple syrup to the skillet and heat, watching carefully and swirling the pan occasionally. Once the nuts begin to brown and the syrup is caramelized, remove to a clean plate or a sheet of parchment paper. Sprinkle lightly with sea salt or with smoked sea salt. Separate and let cool completely. 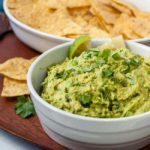 Just one-quarter cup of walnuts will provide over 100 percent of the daily recommended value of plant-based omega-3 fats. Eating walnuts regularly may also help reduce the risk of prostate and breast cancer and may benefit those with heart disease. Walnuts also contain powerful anti-oxidants, making them a superfood. Toss a few on your next salad. Here’s to your health! 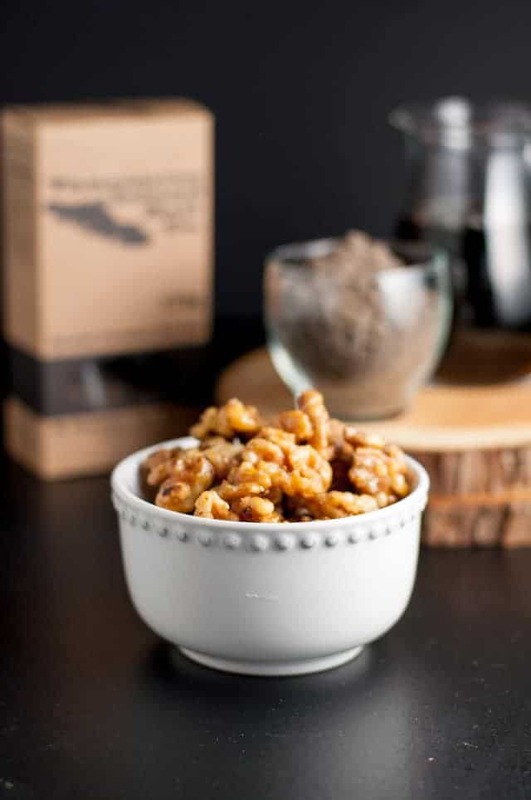 Toasted walnuts, caramelized with maple syrup and sprinkled with a pinch of smoked sea salt make a delicious addition to salads. Add the walnuts and maple syrup and cook, stirring occasionally until walnuts are toasted and syrup has caramelized, about 3 minutes. Sprinkle with a pinch of smoked sea salt. Cool before adding to a salad.